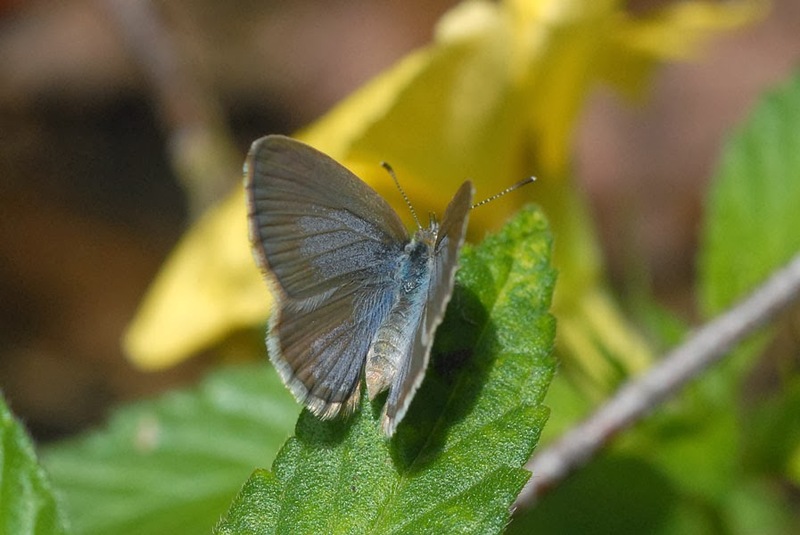 When it isn't raining, the lawn is covered in tiny blue butterflies. 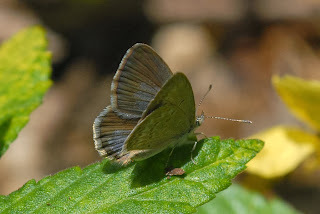 They are not the azure of oak-blues (Arhopala) or the sapphire of jewels (Hypochrysops), but a dusky, dusty blue. With their parchment-coloured undersides, they look as though they are made from paper that has been left in the sun. A few days ago, before the rain started in earnest, I managed to photograph these wee flutterers. They are restless and wary, so it is not easy to get a camera lens close to them. 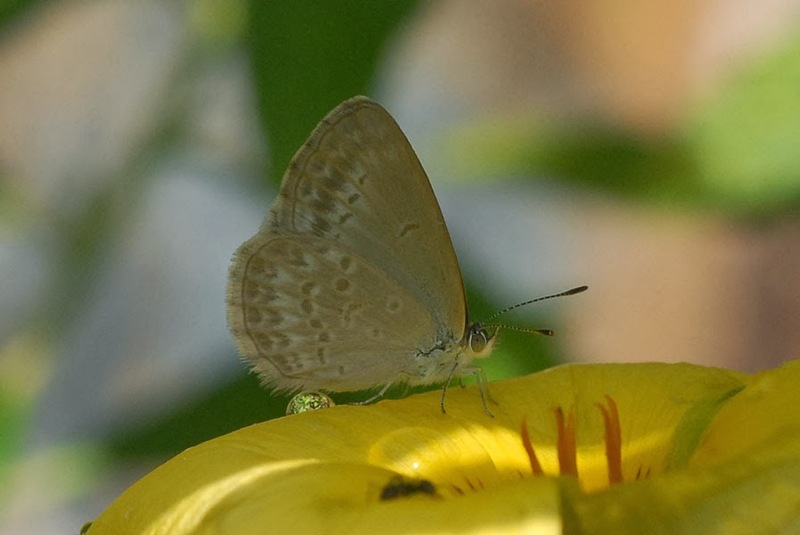 They are common grass-blues (Zizina labradus), a species that occurs across most of the continent, except for the Gulf and the deserts of Western Australia. The caterpillars feed on a variety of plants and are sometimes attended by ants. There is no shortage of ants in the garden, so that might explain the abundance of adults. The adults have no such protection. Sometimes they make the wrong move. But that wrong move led me to notice this spider, which is another story. Thanks! Hope you're getting some good rain. Ours seems to have dried up for the moment.